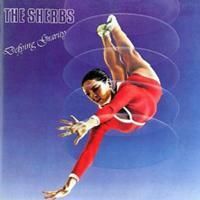 The Sherbs are a long lost wonder from Australia, and this is their second and final helping, sadly. Both albums are power pop AOR prog classics that contain some of the most radio friendly stuff of the 80s. Formed out of the popular band Sherbet, they went on to disband in 1984, but got back together briefly in 1998. Although the singer did go on to a solo career, it's really too bad they can't do something as a group again. On this record they took things a step further into prog territory but still maintained a light pop balance that makes it easily as good as the first one. The keyboards play as dominant a role as the guitars in this band, but the ride has just begun with so much more to come. This is probably one of the mellowest tracks, but definitely a good tune to set up the album. This is a more progressive and radio friendly number, but no more rocking than the opener. If that was progressive, this is even more so, and where things do pick up for the rest of the duration. This features some killer keyboard work and the vocals are absolutely flawless. In fact, this is one of my favorite keyboard heavy pieces from The Sherbs. I just love it. This picks up even more as the guitar begins to makes its way into things. This is a great track with more killer vocals. It’s time for a ballad, and this is a powerful pop one. The singing really begins to shine at this point. This really shows the lighter side of Daryl Braithwaite’s vocals, and it's all balanced out with those great background harmonies. Alive things come again for one of the best tracks on the disc, with soaring guitar lines and more power pop vocals. What a killer little gem this is. There is a real Yes vibe going on here with the vocals. This is yet another standout track, a very dramatic tune, very similar to Saga. It features lots of ups and downs and some more awesome guitar work. It's pretty much all Genesis here, and once again the keyboards really shine on this one. This is a much more progressive and probably the peak point of the disc. Not being one of my favorite tracks, this still has plenty to offer, but just perhaps not for me. The title track is appropriately placed where needed, as it gets things back in order and really delivers the standard Sherbs classic sound. I wouldn't throw this away either, as it too is in the standard vein, and probably another of my choices for the top cuts. This is a great tune with even more classic appeal. The whole thing just contains everything this band is all about. It’s simply fantastic! I wish The Sherbs were still around, but at least this and their debut album will last forever, and this is such a great way to take things out in style.